49ers fans and front office personnel can’t awaken from their offseason nightmare fast enough. 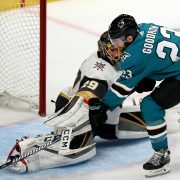 After a heartbreaking defeat at the hands of their division rival Seattle Seahawks in last season’s NFC championship game, a series of legal entanglements left San Francisco eager to begin anew in 2014. 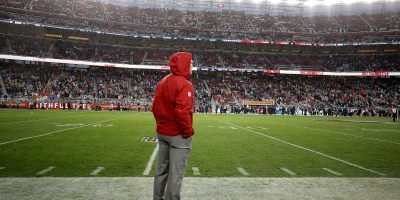 A deep roster and plethora of draft picks made the 49ers an early contender for revenge against their nemesis from the north, and possibly succeed in their long-desired quest for six. Veteran starters like Donte Whitner, Tarell Brown, Carlos Rogers and Jonathan Goodwin were all casualties to the salary cap, and the 49ers filled their departure with young, inexpensive, internal options via Chris Culliver, Tremaine Brock and Daniel Kilgore. General manager Trent Baalke didn’t reel in any marquee players during the offseason. But calculated moves landed veteran safety Antoine Bethea via a low-cost contract and scored talented receiver Stevie Johnson, from Buffalo for a conditional fourth-round 2015 pick. Baalke further supplemented the 49ers roster with the 11 picks he had at his disposal during the 2014 draft. After selecting talented DB Jimmy Ward in the first round, Baalke padded some of the 49ers already-more talented positions with the likes of RB Carlos Hyde, WR Bruce Ellington and LB Chris Borland, while adding necessary depth at center and cornerback with the likes of Marcus Martin and Dontae Johnson. With a new-look offense, a freshened defense and $1.2 billion Levi’s Stadium to show it all off, the 49ers look to push last year’s postseason exit out of their mind with an optimistic stride toward the future. 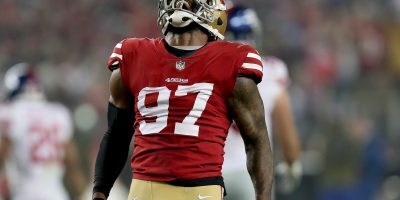 Let’s quickly get to the glaring elephant in the room: The 49ers defense may be in serious trouble. San Francisco will open up the season without premiere All-Pro linebackers NaVarro Bowman and Aldon Smith. Bowman will miss a minimum of six weeks on the PUP list as he rehabs his knee injury suffered during the 2013 NFC championship game. Smith’s troubles were self-inflicted. Despite a voluntary four-game absence following an arrest last season for a DUI, commissioner Roger Goodell still came down hard on the troubled Smith with a hefty nine-game suspension. Defensive coordinator Vic Fangio said he will go with linebacker-by-committee, presumably using Dan Skuta on base downs, and second-year player Corey Lemonier on pass rush situations. Skuta and Lemonier filled in admirably during Smith’s four-game absence last September. Lemonier has made strides during his second year, but isn’t capable of replacing Smith and his 28 sacks over two seasons on his own. Compounding troubles on the defensive line is the loss of NT Glenn Dorsey, on IR with a torn bicep muscle. 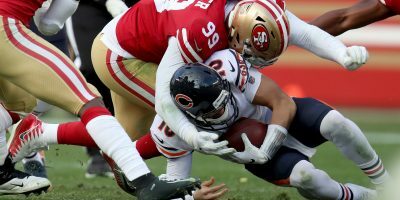 Dorsey — who the 49ers hope can return late in the season — was stout against the run, ranking ninth amongst defensive tackles with a +8.0 grade according to ProFootballFocus.com. Replacing Dorsey will be the man Dorsey himself replaced, nose tackle Ian Williams, who was lost in the second week following a cut block from Seattle guard J.R Sweezy. 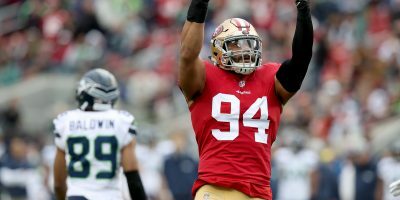 Another big run stopper could be yanked from the 49ers squad as the investigation continues into Ray McDonald’s alleged domestic abuse case. On Friday, coach Jim Harbaugh said McDonald would start Sunday’s season opener. Behind McDonald on the depth chart are Tony Jerod-Eddie, Quinton Dial and Tank Carradine, who have all shown the strength and ability to make plays during the preseason. Linebacker Michael Wilhoite has officially been given the nod from Fangio to replace Bowman alongside Willis. Willis will take over Bowman’s normal roll of “Mike” linebacker, while Wilhoite will slide into the “Jack” spot, a position he played while Willis was sidelined with a groin injury during the 2013 season. Don’t count out appearances from third-round pick, LB Chris Borland, who’s pugnacious play during the preseason challenged Wilhoite for the starting position. Fangio commented on the possibility of Borland sharing snaps on Thursday. In 2013, the 49ers finished with the seventh-best pass defense in the league, allowing 221 yards per game. However, with Smith, Bowman, Dorsey and McDonald out, the 49ers will have to rely on relatively untested players to pressure the quarterback. This can be disastrous for a young and inexperienced backfield. Bethea has the most experience with nine years in, followed by Brock who has five. But this will also be just Brock’s second season as a starter. Culliver has just six career starts, and, despite his Pro Bowl nod, safety Eric Reid is entering only his second pro season. Likewise, only Reid and Brock have seen playing time during a regular season game together. Pressure along the front line will be crucial for this young backfield to hold opponents passing yards to a minimum, especially against 2014 opponents led by Drew Brees, Payton Manning and Russell Wilson. Quarterback Colin Kaepernick netted a lucrative contract worth up to $126 million through 2020, and he’ll need to earn all of it. With the 49ers defense the club’s weak link, the offense expected to pick up pieces for its depleted counter-part. It’s a good thing they have a plethora of new weapons. With the ever-intense Anquan Boldin returning alongside a healthy Michael Crabtree, Kaepernick is sure to rack up more yards through the air early in the season. Despite being quiet in the preseason following a late arrival to the team over a contract dispute, Vernon Davis is primed for yet another big year as well. Complimenting the three starters will be a host of newcomers along with second-year player Quinton Patton, who is looking for his own chance to please the crowd with one of his fan-friendly gestures. 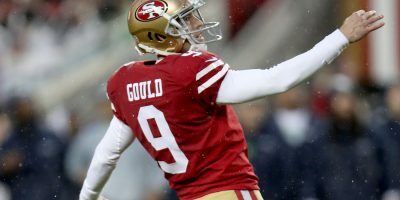 After finishing 30th in the league during the 2013 season in passing yards, the 49ers are apparently adamant about ramping up their passing game. They decided to keep six wide receivers — seven if you count special team’s ace Kassim Osgood — to give Kaepernick a multitude of targets. Wide receiver Stevie Johnson is slated to be the No. 3 receiver, but rookie Bruce Ellington showed his ability to make a catch by leading the team in receptions during the preseason with 121 yards on 12 receptions and one touchdown. 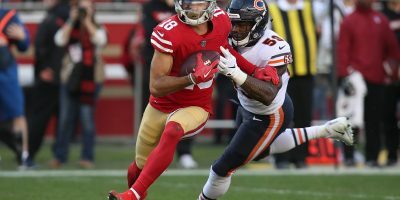 Despite being injured throughout preseason and having no special teams value, Brandon Lloyd showed his worth and earned a roster spot, though he will have to fight to keep it. At 31, Frank Gore has no plans of slowing down. Gore amassed 1,128 yards during 2013 as the primary ball carrier for the 49ers. Second-round pick and eventual Gore replacement Carlos Hyde strung together a quality preseason, highlighting his mix of speed and power. Gore is still expected to get the majority of carries for the 49ers, though Hyde — who finished the preseason with 96 yards on 17 carries — should see a decent workload behind the 10-year veteran. With guard Alex Boone returning to the team, and tackle Joe Staley and Guard Mike Iupati healthy to start the season, the 49ers’ only questions along the line are at center and right tackle. Daniel Kilgore has done well at center, but with Marcus Martin being lost to injury for the foreseeable future, San Francisco is banking on Kilgore to stay healthy. Jonathan Martin has exceeded expectations at right tackle, but will most likely lose his position to Anthony Davis when he returns from a hamstring injury. 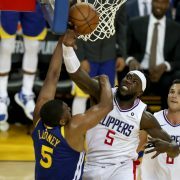 The largest intangible has to be the health of the remaining defensive starters. With the 49ers already worn thin due to injury or suspensions, any injury to a remaining defensive starter would be filled by either an untested rookie, or a player sure to bring massive drop-off in productivity. As an example, after starting strong safety Bethea went down with a concussion during the second preseason game against Denver, Craig Dahl replaced Bethea, and was immediately targeted for a touchdown by Payton Manning. Likewise, any injury to Willis would place a tandem of Borland and Wilhoite on the field for significant playing time — a far cry from the powerful Willis-Bowman duo of last season. How offensive coordinator Greg Roman utilizes his new arsenal of receivers will also be under scrutiny. The 49ers were at the bottom of the list in using three wide-receiver sets last season. However, with a healthy number of competent receivers, expect to see more receivers on the field at the same time in 2014. The Seattle Seahawks showed Thursday they haven’t slowed down a bit, steadily dismantling a talented Green Bay Packers team while cruising to a 36-16 final. Marshawn Lynch and Russell Wilson were dominant as expected, but Seattle showed how dangerous they are with a healthy Percy Harvin, who added 100 all-purpose yards. Barring significant injury to Lynch or Wilson, the 49ers are going to battle uphill to stay in the race with the defending champions. 11-5, only one game worse than a 2013 season absent of preseason controversy. San Francisco also has the fourth toughest record in the NFL according to ESPN, so this prediction may be optimistic.